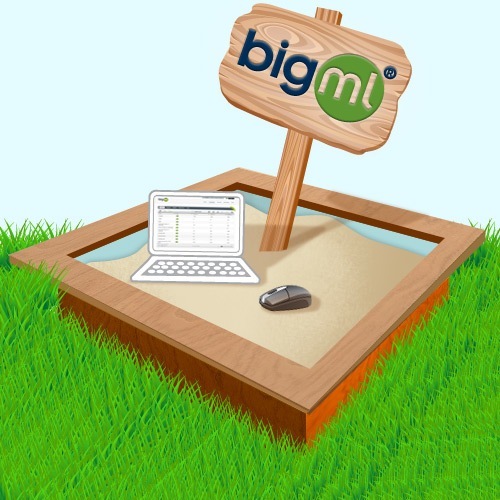 Introducing BigML’s Free Machine Learning Sandbox. At BigML, we know what it takes to develop code. One of the things we love is having a sandbox – an environment to play around in, free of charge, while developing our apps. 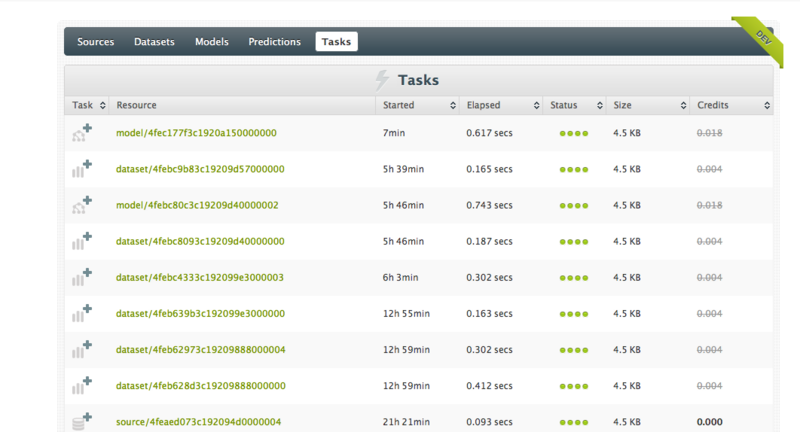 So we hurried to create a free machine learning sandbox. 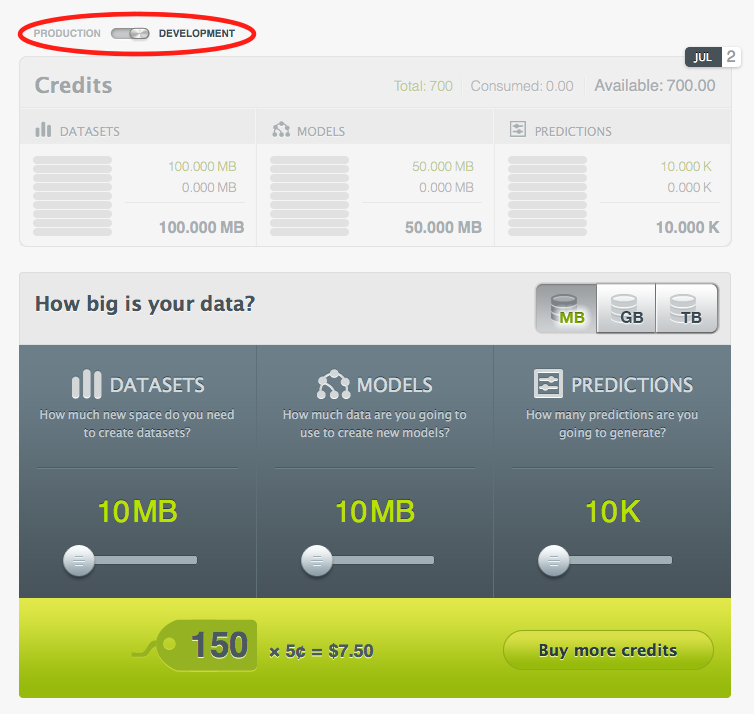 Today we are proud to announce: BigML’s development mode! Here’s how it works. If you don’t have an account yet, request an invite here. There are no charges involved, no credit card credentials to note and a good portion of promotional credits to get started. Once you have your account set up, go to the account section (the tab labeled with your user id). Simply flip the switch from ‘production’ to ‘development’ and you are in ‘dev mode’. As you’ll see immediately, your credit usage info is dimmed. As long as you are in development mode, we show a green indicator ‘DEV’ in the top right hand corner. If you use BigML.io for access through our API, simply insert ‘/dev’ so the URL is https://bigml.io/dev/andromeda. What’s the difference between development mode and production mode? The most obvious difference is that in development mode, you won’t be charged a single credit. The flip side is that your datasets are limited to 1 Mb. That naturally also limits your model training data to 1 Mb. Functionally, the production and development environment are identical.